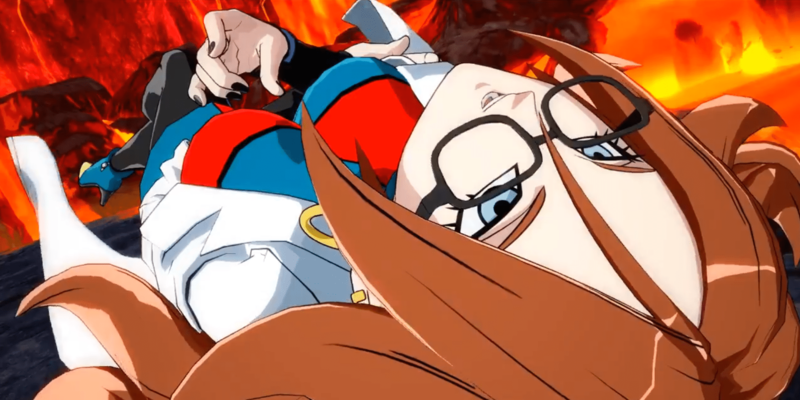 Android 21 Battle Intro Revealed! - miso! Your one-stop for anime and video games! 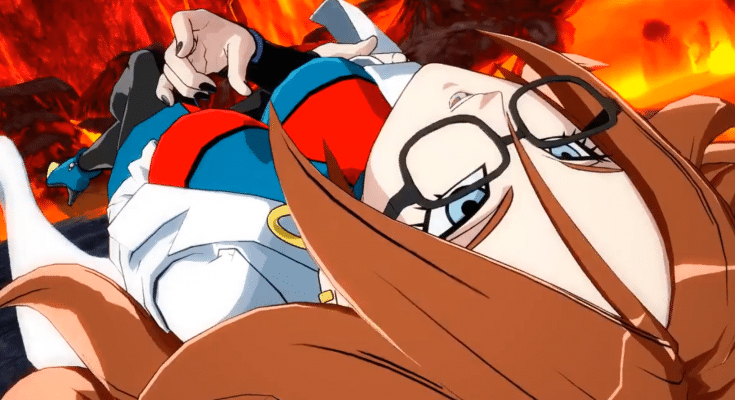 Android 21 Battle Intro Revealed! 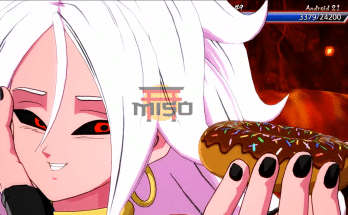 After multiple leaks and releases of information on Android 21 earlier this week, a video has arisen on Twitter and Reddit displaying Android 21’s battle introduction. Many are curious what the final character of the base roster has to offer, and her mysterious Majin-like transformation is taking the Dragon Ball fandom by storm. A popular Japanese gaming magazine called ‘V-Jump’ revealed the combatant only a few days ago in the latest issue, and many were alerted by the pink cyborg’s usage of other character’s signature abilities, including the famed Kamehameha and beloved Solar Flare. Android 21’s appearance in the issue differs from her normal aesthetic, now possessing black sclera, red pupils, pink skin and a tail. Oh– she also loves sweet treats! The Scientist will likely be unlocked through story mode or by purchasing the character with in-game currency, although those in possession of the latest copy of V-Jump will be able to redeem Android 21 via a unique code. What do you think about the latest addition to the Dragon Ball franchise? With only 6 days to go, are you pumped, concerned or straight up ready for Dragon Ball FighterZ? Let us know in the comments below! Liked it? Take a second to support miso.moe on Patreon! Gameplay: Android 21 Moveset Revealed! Previous Article The Miso Moment: What Makes A Good Opening? Next Article Gameplay: Android 21 Moveset Revealed! Rice is a young, indie developer and an avid solo queue competitor in Overwatch. After working on multiple projects, including Dragon Ball Online Global, Rice decided to work on some more of his own, including miso.moe and more recently, Nichibotsu. The Junkrat Revival: Can New Buffs Kill GOATS? The Miso Moment: What Makes a Good Main Protagonist?